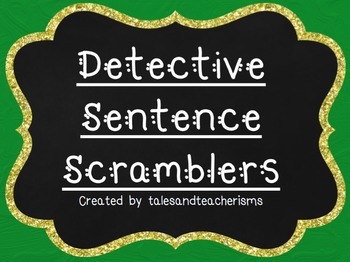 This can be used as an Around the Room activity or a center activity in your classroom! Students complete individual recording sheets, writing down complete sentences made from the words in each envelope. 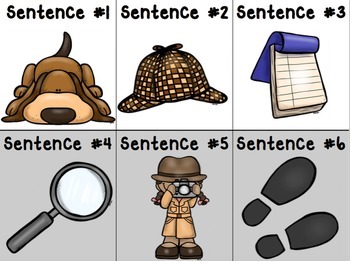 There are 12 sentences with pictures on the word cards, recording sheet, and on the envelope labels to help students use the center activity independently. Students locate the library pocket/plastic baggies/envelope with a picture. Inside, they use the word cards (with the same picture on them) to build a sentence. 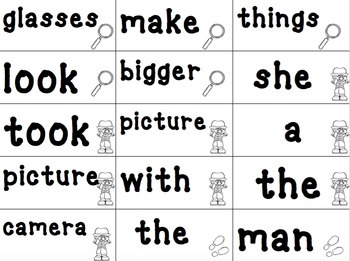 Students write the complete sentence, with capitals and punctuation, on their recording sheet. I included color and black and white versions. 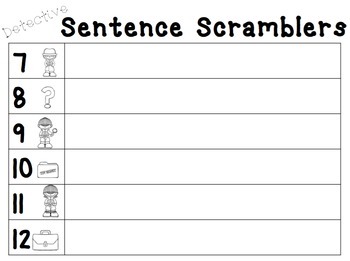 I also included blank word cards so you can create your own sentences in the future.